Memes of Ben Ho: The words billion and million should be abolished from news coverage. 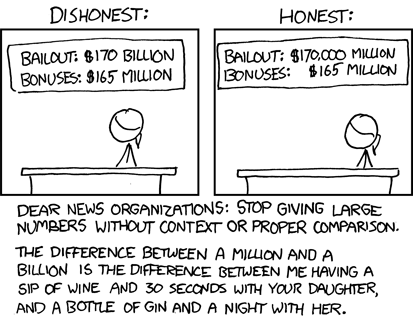 The words billion and million should be abolished from news coverage. Ha. I've said before the words billion and million should be abolished from news coverage.